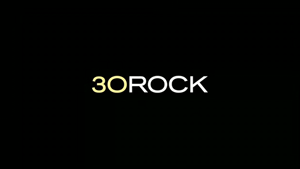 Quick Thoughts: 30 ROCK, "Idiots Are People Two!" After a slow start, 30 Rock made a slight comeback with "Idiots Are People Two!" mostly because of the Jack and Liz relationship. Everything else was decent enough as well, but I'm always going to a sucker for an episode that highlights the special bond between the two leads. The Liz and Jack story wasn't necessarily anything new since it relied heavily on Jack confronting Liz about her secret boyfriend, but what made it special was their trademark banter. Jack's overreactions and mind games were examples of Alec Baldwin at his best, and of course Tina Fey was able to hold her own as well. I wasn't too jazzed about James Marsden's character because he's the same old cute slacker stereotype that women who have their stuff together should avoid but always end up dating. We've seen it all before (like on this week's Happy Endings), but I was able to overlook that for the most part. The rest of the episode wasn't as strong as the A-plot, but there were some funny moments. It's always fun when shows poke fun at their stars, so Tracy's story about offending the gay community was entertaining, and I liked how they flipped the script by having him start his own protest since TGS offended idiots. Like I mentioned last week, I can only stand Jenna and Kenneth in limited amounts, but I actually liked their adventure involving Pete, and it's hard not to like the rougish persona that Kelsey Grammer has on this show. "Idiots Are People Two!" may not have been the funniest episode of 30 Rock ever, but I'll take a solid Liz and Jack story over non-stop jokes any day of the week. Also, having the rest of the cast be somewhat tolerable is always a plus.